Lowell Hays walked the wild side with the “King” of rock and roll, Elvis Presley from 1969 until his death in 1977. 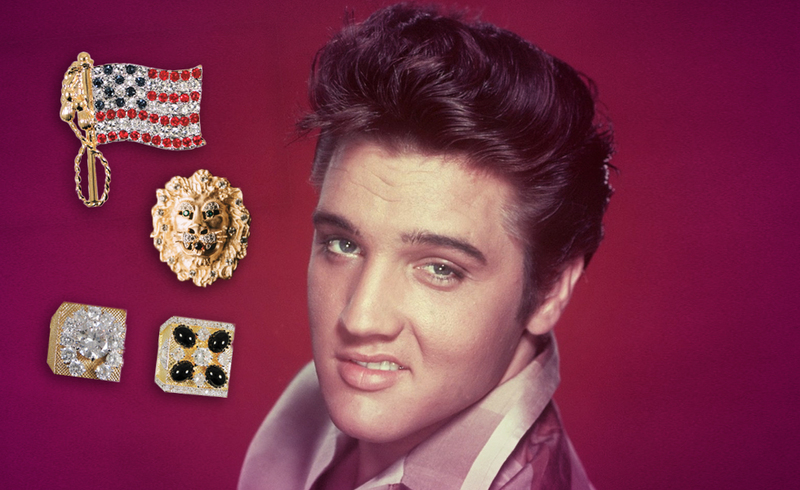 He likes to relate the bizarre stories of Presley’s jewelry purchases, which to say the least were beyond extravagant. He was definitely the “King of glitz” when it came to the saying bigger is better in flash. He relates the story of his first meeting with Presley on Christmas Eve 1969 at the almost empty Memphian Theater and took a seat behind Elvis. From time to time, the rock n’ roll icon would gather friends for private movie screenings at the gilded, Art Deco venue — but Hays, the city’s most respected jeweler, wasn’t yet one of those deeply trusted companions. He was there on business. “Come on with me,” Presley said, ushering him into the men’s room where the musician pushed open a stall door and took a seat on a toilet. “You can put your briefcase right here on my lap,” he gestured to the brown leather bag Hays had stocked with jewelry. “So that’s exactly what I did,” the jeweler, now 78, recalls nearly five decades later. It was the first of nearly two hundred purchases from that brown leather case. That night he picked out three large diamond pieces for his aunt, father and his girlfriend. “I could tell you stories like these for hours,” Hays said. Because the truth is, over the course of his seven-year friendship with Presley, he amassed stories so wild, they can feel mythic. One of them being the first time he visited Graceland only to find Presley outside in the rain in a floor length mink-coat shooting a pistol: “They shot up his daddy’s office pretty good.” Presley would call Hays in the middle of the night with near impossible jewelry requests. He would end up having to take many flights out of New York’s La Guardia airport just for the sole purpose of picking up precious gems to help meet Presley’s demands. “Our nickname for Elvis was ‘Crazy’… you never knew what he was gonna do next,” Hays said. It’s a moniker that would ultimately be engraved onto a gold ID bracelet for the star. Hayes branched into retail with a women’s fine jewelry store in the city’s Germantown neighborhood. When the responsibility of that store prevented Hays from joining Presley on the road, he would simply send the brown case filled with precious golden pieces to wherever the star was. “Elvis knew the combination to the lock, so whenever he wanted something, he would tear the tag off and leave it for me.” For every piece Presley kept for himself, he gave nearly just as many away. During a 1975 show in North Carolina, for example, Hays remembers Presley summoning the bag on stage: “He just started handing jewelry to people in the front.” When Hays hopped in Presley’s limo after the show, distraught about how much money had been given away, the singer got a twisted little half-smile on his face and patted Hays on the knee. “He said, ‘Lowell, I’ll have to sing five minutes longer tomorrow night to pay for it. '” Among the pieces Presley never parted with was the “TCB” ring Hays crafted using 56 diamonds including an 11.5 carat solitaire. Intended to be a show ring, “something that would immediately make people think ‘Elvis Presley,'” it incorporated Presley’s “Taking Care of Business” mantra that also doubled as his backing band’s name. To this day, the ring remains identifiably Elvis, who was so thrilled with the design, he paid the $35,000 price tag and then handed Hays the keys to his Lincoln Mark III Cartier edition as an additional token of gratitude. Some of the myths surrounding Elvis Presley during his iconic career was his generosity and also his flashy style. I would imagine a small-town jeweler that had the opportunity of a lifetime knock on his door to be the personal jeweler to someone bigger than life as Elvis would also have a lifetime of “crazy” stories to tell too. Wanting freedom and the impatience for things to happen in life. This card I feel shows how Presley felt trapped in his isolated lifestyle and as all over indulged divas, created a life of getting what they want when they want it. 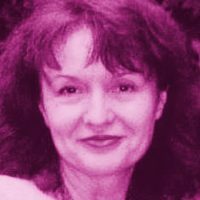 Knight of Swords:	Disruption and chaos that brings about change. I believe that if you pressed Hayes a little harder, you might also find some underlying dark stories of how Presley disrupted his life to meet his demands but I am sure he was well compensated for it, so conveniently forgotten.